With the holiday season upon us and the end of the year fast approaching, we reflect on what this season is all about...giving. 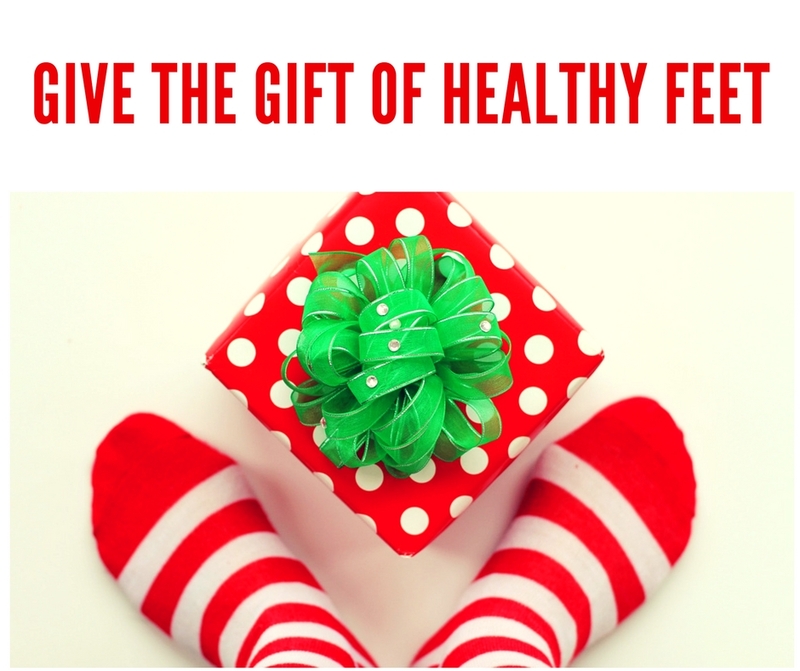 This season give the gift of health, the gift that keeps on giving. Good health starts with happy feet. Foot pain left untreated, can take a toll on your physical, mental and emotional health and well being. If you have foot pain, heel pain or toe pain performing everyday activities can become difficult making it painful to walk. So, if you or a loved one has foot pain, or is interested in getting active make an appointment with a foot doctor to get you started off on the right foot. If you exercise regularly or have a New Year's resolution to start exercising, a good pair of athletic shoes is a must-have! Running and exercising in the wrong shoes can leave you at risk of foot, ankle, shin and knee injuries. So don't let the wrong pair of athletic shoes make or break or your New Year's goal. Our favorite athletic shoe brands are Brooks, New Balance, and Asics. Shop for Brooks Running shoes at our podiatry store Foot Traffik in Long Beach. Everyone loves a comfy pair of slippers, especially Orthofeet orthopedic slippers with arch support, removable insoles and adjustable widths. If you know someone that needs a specialty slipper available in wide widths, they’ll love the Orthofeet Women’s Charlotte Slipper or Men’s Asheville Slipper available at our podiatry store Foot Traffik. If you want to start the year off healthy and on the right foot, get nail fungus treated early, at the FIRST sign of infection. Is nail fungus contagious? Yes! Don’t let it spread to others or your loved one's toes. Get the right treatment with the PinPointe Laser specifically designed to treat nail fungus. Do you or someone you know wear flip-flops ALL day, EVERY day? Sandals and flip-flops are a staple in Long Beach and a must have if you live in SoCal but did you know that NOT all sandals are created equal? Try these brands that boast superior arch support: Vionic, Spenco, SOLE, Aetrex and Dr. Comfort. Tired of barking feet at the end of your day? Try on a pair of over-the-counter arch supports and insoles at Foot Traffik. Foot pain and heel pain are common problems that may be remedied with an over-the-counter arch support.